One of the largest and most influential electronics companies during the 20th century was the Radio Corporation of America, or RCA. At one time, the breadth of its operations included everything from making vinyl records to building and manufacturing communications satellites. RCA began life as a joint venture between several different manufacturers of electric equipment. In the early 1900s many companies began manufacturing and selling a new technology called radio. By about 1915 there were several radio stations operating in the U.S, but several of them were foreign owned and nearly all were used exclusively for transmitting Morse Code. When the U.S entered World War I, the federal government seized the foreign stations, and later gave them to the U.S companies General Electric (GE), Westinghouse, the American Telephone and Telegraph Company (AT&T) and United Fruit (an international shipping company). These companies set up a new organization in 1919 to run the stations, and called it the Radio Corporation of America (RCA). For a time, RCA operated radio stations (still almost entirely used for transmitting Morse Code) and sold radio equipment manufactured by its parent companies. However, many amateur operators were now on the air, and the resulting popularity of radio listening encouraged the parent companies to move in this direction. Westinghouse obtained a license from the U.S government to launch a commercial broadcasting station in 1920 and launched KDKA, the first commercial radio station. By 1926, the success of KDKA led RCA, Westinghouse, and General Electric to create a chain or “network” of radio stations spread across a wide geographic area, all broadcasting content created in central studios in New York. The name of this network was the National Broadcasting Corporation—NBC. 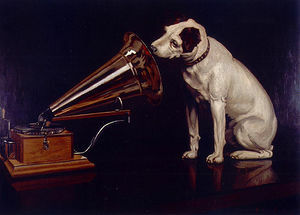 In 1929, RCA purchased phonograph manufacturer Victor Talking Machine Company, and renamed its new division RCA-Victor. With Victor’s expertise and facilities, RCA-Victor was able to begin making its own radio receivers (as well as records and phonographs), and quickly became one of the largest consumer electronics manufacturers. While the Great Depression of the 1930s crippled businesses worldwide, RCA-Victor and NBC thrived. NBC became such a big money maker that David Sarnoff, the leader of RCA, moved the headquarters to a huge new skyscraper in New York and created Radio City Music Hall, a large and technologically innovative performance space. RCA’s major technical accomplishment in the 1930s was the development of the electronic television system that is still used in many parts of the world today (although it may soon be replaced by High Definition Television). Following a ten-year, millions-of-dollars research effort, led by Vladimir Zworykin, TV was demonstrated at the 1939 World’s Fair in New York and briefly sold to the public before it was put aside during World War II. The huge research effort necessary for television encouraged the company to create a permanent research facility. When World War II came, RCA had a perfect opportunity to do so and opened its new RCA Research Laboratories in Princeton, New Jersey and produced many crucial innovations for the war effort. After the war RCA returned its attention to television, designing inexpensive receivers and sponsoring the creation of a new NBC television network to provide programming. RCA’s original television system, as well as the color television system it announced in the 1950s, would eventually prove to be the company’s most profitable line of products. The period from the 1950s and 1970s saw both high and low points in RCA’s history. 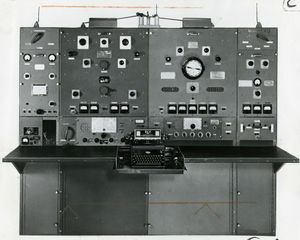 Its research laboratories produced innovative technologies in these years and helped advance computers, integrated circuits, lasers, and other devices. It introduced innovative products like the 45-rpm record and the solid-state television camera. Even some of the company’s minor innovations were very successful, such as the “RCA connector jack” found on many types of audio equipment. However, the company was finding it increasingly difficult to sell its traditional line of products. By the 1970s Asian firms had captured almost all of the consumer electronics market (TVs, radios, etc.). Corporate managers found that is was cheaper to sell foreign-made products in the U.S than to make them at home, so by the 1970s most RCA-branded consumer products were made of Asian parts, or were assembled outside the U.S. By the 1970s, virtually the only U.S-made RCA consumer electronics products were color televisions, and eventually these sales were lost, too. 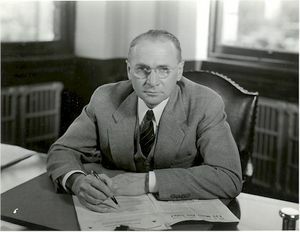 RCA’s difficulties led to continual changes in its leadership, which negatively impacted business and contributed to RCA’s decline. The company’s inability to “follow through,” for example, led to the failure of its innovative videodisc player, the “Selectavision,” which could have become a competitor to the Betamax and VHS videotape systems. But due to poor management, it was brought to the market too late. By 1986 RCA was so weak that its rival (and former co-owner) GE bought the company and dismantled it, selling off most of its parts, including the RCA name and the consumer electronics business. Today, the RCA name is owned by Thomson, a French company, while the German conglomerate, Bertelsmann, owns the RCA record division. 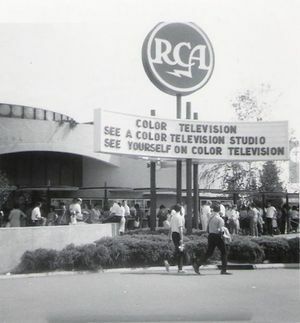 The corporate headquarters was moved to Indianapolis, where RCA had once operated a large manufacturing facility. Today, Thomson manufactures consumer electronics in a variety of countries and sells them under the RCA and GE names. RCA Engineers Oral History Collection - Interviews with 9 prominent engineers from RCA, including Vladimir Zworykin, Humboldt W. Leverenz and Jan Rajchman. This page was last edited on 28 September 2015, at 19:00.